Welcome to St Croix US Virgin Islands! 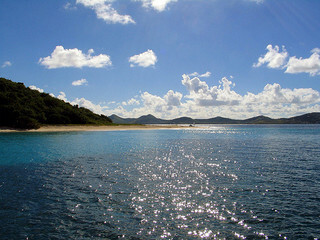 St Croix is the largest of the US Virgin Islands at 82 square miles in area. There are two distinct towns to visit on the island; Christiansted and Frederiksted. The architectural quality and historic interest of the one-time Danish West Indies capital has made part of Christiansted a National Historic Site. Moving west along the North Shore, visit the west side of Salt River where Columbus’ crew landed in November of 1493. Frederiksted has its share of shops and shopping. It also has a tropical Rain Forest and Whim Greathouse, a plantation restored to the way it was in the 1700s. The towns of Christiansted and Fredriksted each has its own distinctive style; together that are the Twin Cities, a must-see. St Croix has fine hotels, excellent dining, sights to see, a selection of other things to do and all kinds of beaches.